A delightful mix of music, mime and theater pieces created over a two week period at IRT’s Westside Experiment and exciting unique approach to summer theater camp mixing cultures and providing new performance tools. Fred Michael Beam is the outreach coordinator for Sunshine 2.0. He is an experienced performer with acting credits that include Nicholas in “By the Music of the Spheres” at the Goodman Theater, Harry in “Harry the Dirty Dog” at the Bethesda Academy of Performing Arts; Witness in “Miracle Workers” and Stranger in “Mad Dancer” at the Arena Stage in Washington, D.C.; “Fall Out Shelter,” “The Dirt Maker” and “The Underachiever” at the Kennedy Center; the title character in “Othello” at Gallaudet University; and Steve in “A Streetcar Named Desire” at Sign­Rise Cultural Arts in Washington, D.C. He also performs in his one-man shows, “Fred Michael Beam: Sign Me a Story” and “Black, Deaf Male: Who Am I?,” which toured nationwide. He was a member of “I Didn’t Hear That Color,” the first black deaf play ever produced. His television and film credits include “If You Could Hear My Own Tune,” “The West Wing,” “Secret Dream,” “Little Lonely Monster,” “Deaf Mosaic” and “The New Captain Kangaroo,” for which he won the 2000 Media Access Award. 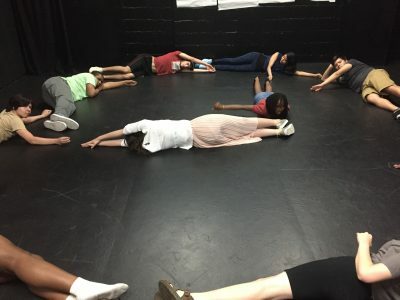 A dancer, director and choreographer, Beam has worked with the Gallaudet Dance Company, the National Deaf Dance Theatre, the DuPont Dance Company, the Penn Vision Dance Company and the Bethesda Academy of Performing Arts. He has performed around the globe, including in Africa, Australia, Egypt, England, France, Jamaica, Japan, Sweden, South America and the Virgin Islands. He also was choreographer for the production of “Jesus Christ Superstar” at the Open Circle Theater in Washington, D.C.